The Fisher F44 is the top model in the Latest F series from Fisher Research Labs. Discover unequaled features at this price point. 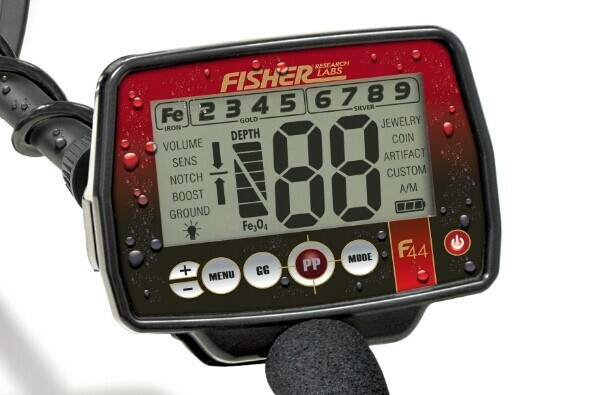 This Fisher model includes a back-lit display screen for hunting in low light conditions and a large 11 search coil. Step up to the top model in the F series, the Fisher F44 and get ready to discover fun and adventure. Industry Leading Weatherproof Design. While the Fisher F44 is not designed for underwater use, this model is ideal for use in dry or wet conditions. This Top model in the latest F Series from Fisher Research Labs is environmentally sealed for use in the toughest environments. 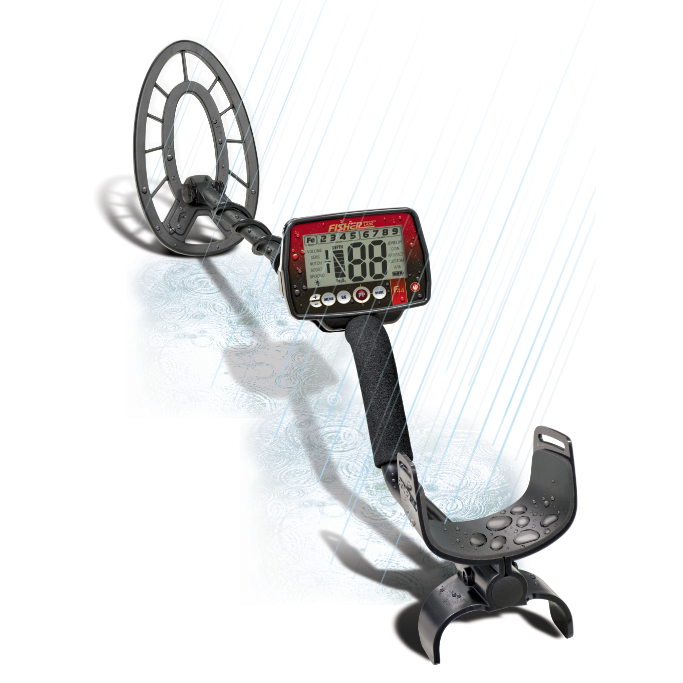 Rain or shine, your Fisher F44 metal detector will be by your side.